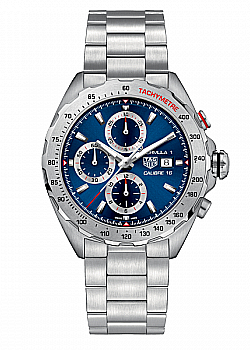 0% Deposit, 0% APR finance from only £25.75 per month. 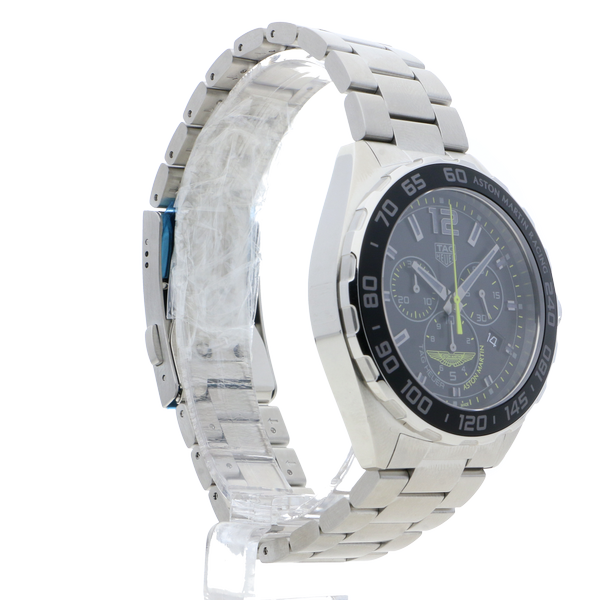 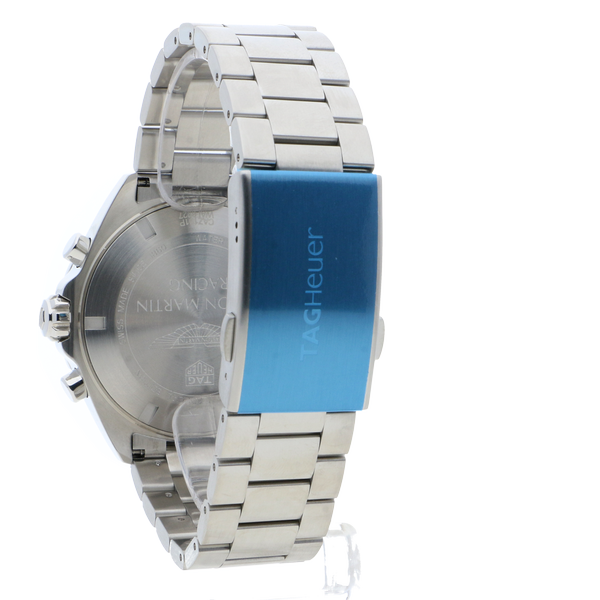 THIS WATCH COMES EQUIPPED WITH A STAINLESS STEEL BRACELET AND ALSO A LEATHER STRAP IN THE BOX. 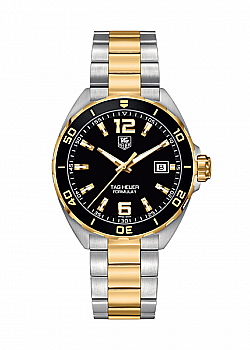 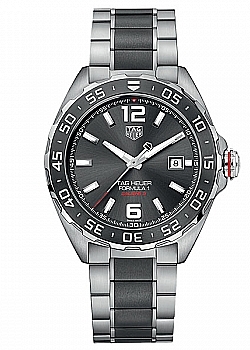 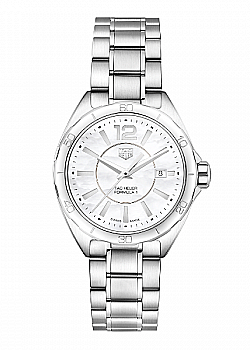 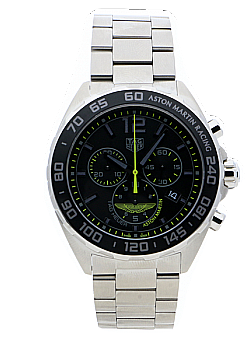 This TAG Heuer Formula 1 Aston Martin watch is equipped with a stainless steel bracelet and stainless steel case. 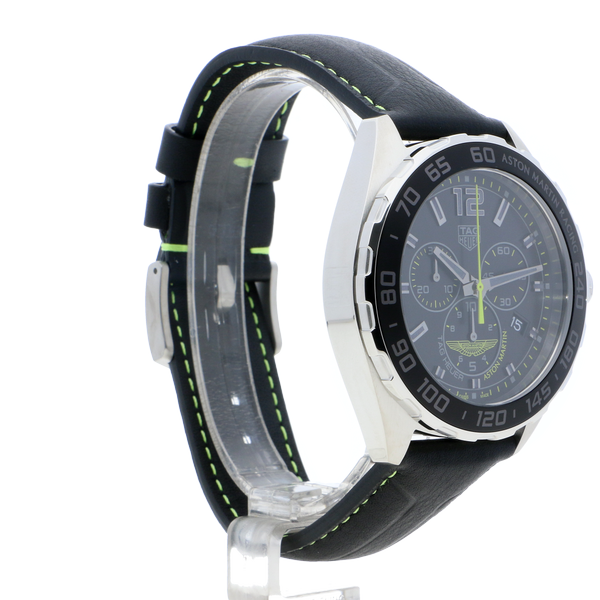 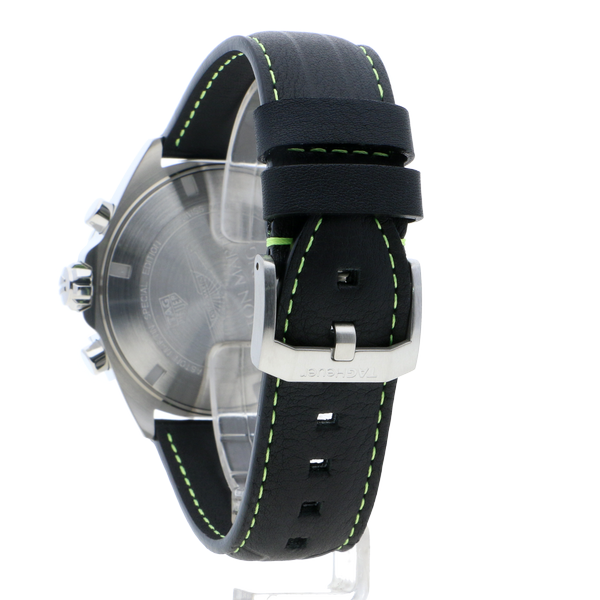 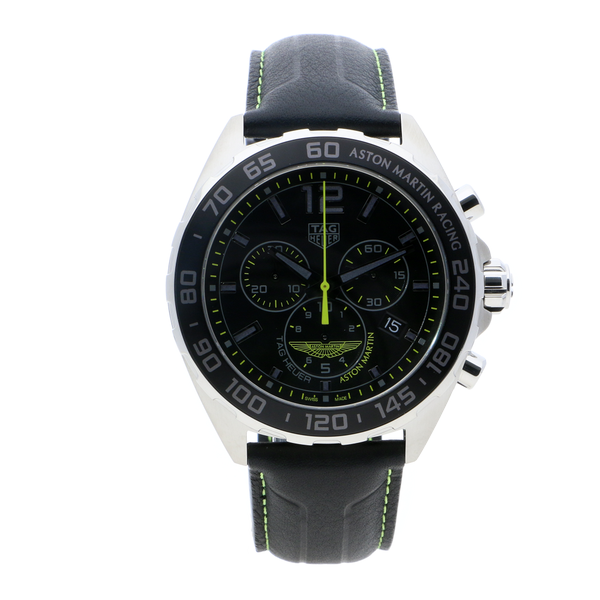 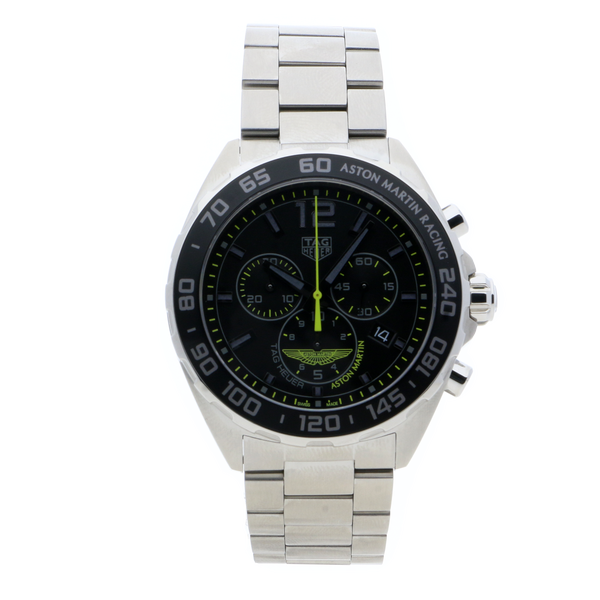 The case has a size of 43mm and is styled with a black dial with grey and lime green touches. 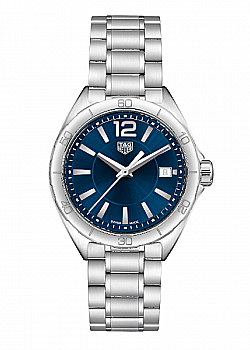 The watch has a quartz movement and is water resistant to a depth of 200 metres.